A common misconception about growing a beard is that it is easy and low maintenance. Fed up with the hassle of consistently shaving, some think that growing a beard is easier than shaving. While this can be true, an uncared-for beard can be even more of a hassle if it is not tended to. 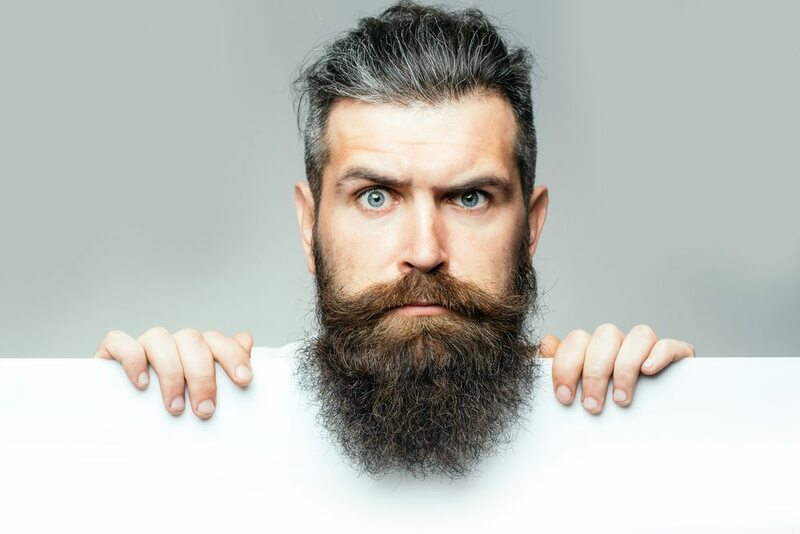 The skin under your beard can get dry, ingrown hairs can form, the hairs can get wiry and wild if not cleaned properly… a whole slew of annoyances can creep up. One of the best and easiest to use products that help combat these issues is using the best beard oil. But which is the best out there? The product you buy only works if you use it consistently. If you don’t follow the recommended use instructions, you can’t blame the product. Always do a small allergy check before applying to your whole beard. Any time itching or skin irritation occurs, discontinue use. There are a ton of oils for sale. All of the oils we recommend today are effective in their own way, so to make it easy for you to find exactly what you are looking for, we have chosen our seven favorites that fit the most requested categories. Mount Beardmore (what an amazing name, right?) is new to the scene, but has a smart business model and works quite well. Their oil has 9 all-natural essential oils: Virgin Argan Oil, Jojoba Oil, Vitamin E Oil, Sweet Almond Oil, Apricot Kernel Oil, Avocado Oil, Pumpkin Seed Oil, Hempseed Oil, and Grapeseed Oil. The additions of Vitamin E, Apricot Kernel oil and Almond oil are very helpful for dry skin in particular. They currently have three scents: ‘The Entrepreneur’ which is light and clean with a slight citrus note, ‘The Incognito’ is cleverly named because it actually doesn’t smell at all, and the designer’s favorite ‘The Hitman’ which has a whiskey-scented base with a woody quality. Can’t decide? Do what we did, get all three! The Entrepreneur was perfect to wear to work, The Hitman was ideal for weekends around the house and The Incognito is perfect for when you want to wear your own cologne and are concerned the scents would clash. Bonus: The packaging has a drawing of an imagined Mount Rushmore with all bearded men, just like you hoped it would have. For those with a particularly thick beard, it can be hard to get the oil distributed properly. Bossman separates themselves from the rest of the pack by creating a thicker beard oil that they refer to as a jelly. It works well to bond to the skin pores and the hair follicles a bit better than standard oils. For this fact, it does help to moisturize more efficiently and could stimulate faster hair growth. They currently feature three scents: Magic is the original scent and features sandalwood and vanilla oils that blend nicely with the bergamot, patchouli and frankincense. Hammer has a masculine edge but is balanced by lavender and geranium oils for a subtle floral note. Gold has a bright citrus note and feels fresh and clean. For the price of another’s brands beard oil alone, Dr. Prescott’s Old Western Beard Elixir kit contains beard oil, beard balm and a good quality wooden comb. The inspiration for Dr. Prescott’s beard oil and subsequent packaging are greatly inspired by the old west. Even during an era known for macho cowboys, lawmen, and bandits… men still knew how to look their best. Despite having an amazing 23 different botanicals, the oil remains unscented to allow your own cologne to shine. The included beard balm and comb are perfect for keeping stray beard hairs in place or if you maintain a stylized mustache that requires balm to keep it in place. Since it is a well-designed kit, this is a wonderful gift for anyone with a beard. VIGORE MAX beard oil treatment is packed with natural, essential oils that moisturize your facial hair deep within the follicles to help reduce frizz, improve manageability and promote thicker, fuller hair. The essential oils used in Vigore Max are all organic and all-natural. To further protect the oil from shipping problems or sunlight bleaching, the oil is packaged in aluminum bottles. To help you not waste oil, the packaging also has a pump top to eliminate spills. This oil is also thoughtfully made for those with sensitive skin by not adding any unnecessary fragrances. Some of the essential oils do have a natural scent and this product does contain tree nut oils, so it is not 100% allergen free. The oils used in their beard oil are: Fractionated Coconut Oil (MCT), Hemp Seed Oil, Hazelnut Oil, Jojoba Oil, Olive Squalane Oil, Avocado Oil and Grape Seed Oil. To maintain their high quality, they prepare small batches. This ensures that any issues in production don’t affect a great deal of the oil and that each batch is made to perfection. While a standard application of beard oil is great, the occasional deep conditioning of a hot beard oil treatment is life-changing. Since it is not as quick and easy to apply as regular beard oil, treat a hot oil treatment as a special treat for yourself once or twice a week. The heat opens the pores, allowing deep conditioning and hydrating to occur. While it is a leave in product, there is no heaviness or residue. It leaves your beard feeling incredibly soft and manageable. The scent is a nice combination of clean citrus and a balancing cedar note. SUPER QUALITY-100% pure and natural ingredients, no paraben, no mineral oil, no synthetic color, no animal testing, no unwanted hidden intoxicated chemicals you find in products here. All the ingredients in Heman’s Beard Oil are 100% all natural. There is also no paraben, no mineral oil, no synthetic color and the product is not tested on animals. What it does have is Organic Gold Jojoba Oil, Moroccan Argan Oil, Olive Oil, Aloe Vero, Chamomile Oil and Vitamin E. With the Aloe and Vitamin E, they are trying to help condition and soften the beard a bit more than some of the other oils we tried. If you have a beard that is unmanageable and bushy, this oil works well to tame and calm the hair. Bonus: They also have a combo pack with a high-quality beard comb. The company Beardbrand has risen to incredible prominence over the past year due mainly to their enigmatic founder Eric Bandholz. After quitting a boring job that wouldn’t let him grow his beard, he started an empire that caters to the modern urban beardsman. His beard oil constantly receives high marks and contains Jojoba, Almond, Grapeseed, Castor, and other Essential Oils. While the cost is a bit higher than other options, the consistency and quality make it worth every penny. Spiced Citrus – a very light and clean smell with bright grapefruit notes. While these eight options worked well for us, certain skin types will require different products. As a general rule of thumb, try to avoid products with added alcohol (since it can dry the skin out) or parabens (can clog your pores). Without a doubt, BeardBrand is my top recommendation. They simply make the best beard oils on the market. Are there any categories we missed? Did your favorite brand not make the cut? Let us know in the comments below!